the period November 1936 to approximately May 1937.
upon between the Company 1 s geologists and the Shaikh of Qatar. cular sites the Company will, of course, comply with his wishes. 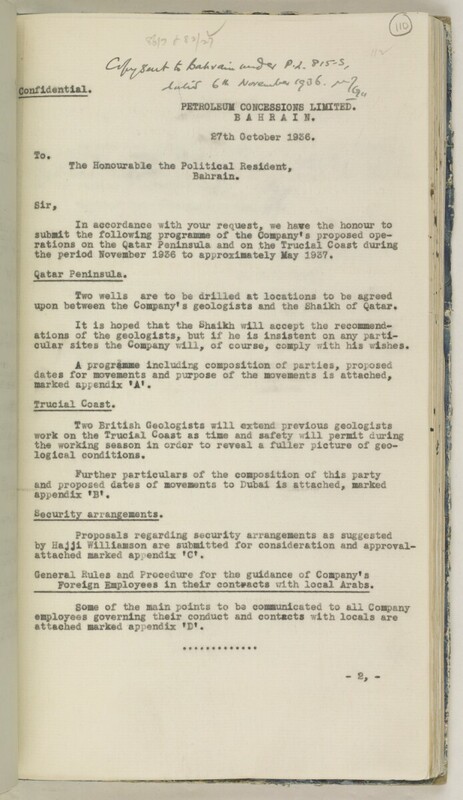 attached marked appendix f C f .
Foreign Employees in their contracts with local Arabs .